Our new supersoft chakra blankets are back in stock! You will also find information and prices for Reflotherapies treatment room which is based in Marchwood, Southampton. Do you want to order some Chrankets for your yoga students? Please see our new categories, where you can purchase 5 or 8 Chrankets for your groups at a reduced rate. Reflexology in a sock! - Reflosocks work by stimulating specific reflexology zones under the feet as you walk, to bring about equilibrium and relief from aches and pains. 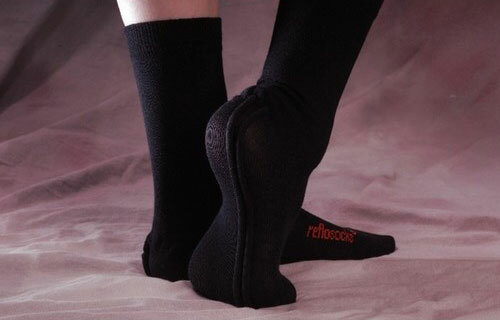 You can wear Reflosocks in shoes,or just around the house like a slipper sock. Click through to our treatments page to find information about reflexology, Bowen Technique, Daoyin Tao, Buteyko Breathing Method, and the Get Fresh! Foot Facial. © 2015 - 2019 Reflotherapies All rights reserved.